Take control of your life to become alive and generate true happiness? The first step to take control of your life is to Create life destinations that are very important to YOU. These are the goals that allow you to fulfill your passions and priorities, follow your beliefs, and maximize your talents. When you discover and develop your own destinations, you establish your purpose and/or purposes in life. As you produce your life that has meaning, you take control of your life on your terms. The destinations and/or goals that allow you to take control of your life must come from within you! This becomes a true Discovery Process! 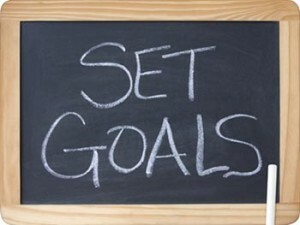 Discovering your own goals and/or destinations creates clarity and generates strong motivations to strive for something. You generate real and deep confidence. Discovering and designing your own destinations and/or goals from within you is not that easy without the right help. Because they are hidden within you. And the greatest mystery in the world is Ourselves! Why do so few people develop their own personal and career goals as their chosen destinations? Most people do not understand the importance of creating their own destinations. Even more people do not know how to discover and create their own destinations. And because it has been so difficult to do for so long, they have little faith that they could achieve them if they did create them. Your life coach will assist you to become “The World’s Leading Expert on You” so you discover and define your life and career goals that mean the most to you. More importantly, your life coach will also assist you to actually accomplish your goals faster than you can imagine. You will also feel the joy of successes when you achieve your goals. Furthermore, you develop feelings of accomplishment every time you achieve one of your goals or destinations. What’s more, you will improve your health. And you will perk up your attitude. That’s right, you get a powerful one-two value from being coached. These real double benefits from life coaching explain why the coaching profession has grown so rapidly in such a short period of time. Life coaching works! And so many people have been able to take control of their lives on their terms. They have reaped the remarkable benefits of doing so. Create your own life and career destinations so your journey through life will be fun, productive, rewarding, and you will be motivated every day to get up and enjoy the trip. It all starts with unraveling the mystery of you so you can discover and design your own chosen destinations.